The other side of the grass is sometimes greener, and in this case, the green-ness refers to relatively simple construction and ready availability of parts. If you’ve ever owned an oddball foreign car, you know the feeling of going to the regular car parts store and having them ask, who makes that? Is that the V6? 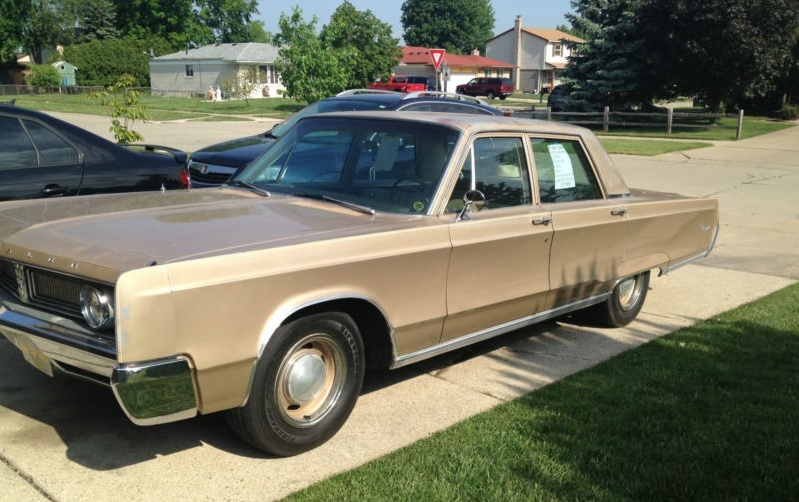 Anyhow, that general line of thinking leads to today’s feature car, a 1967 Chrysler Newport hardtop sedan for $3900 in Sterling Heights, MI, near Detroit. This looks so straight and has a level of wear that suggests it’s got original paint – could this really be a Michigan car? California cars often look like this after 46 years on the road. The body color steel wheels with dog dish caps make it look meaner than it would on shiny full-size hubcaps. In other shots you can see that the tires look pretty new as well. Based on a for-sale sign in one of the windows, the car was originally listed at $5900, but has been significantly reduced, something about which you’ll definitely want to ask the seller. This car is equipped with the 383 V8. What a world it must have been (and how cheap gas was) that the base model (as described in the headline) came with a 6.3-liter V8! Remember that only a year later, the top-spec Mercedes full-size sedan was the 300SEL 6.3. 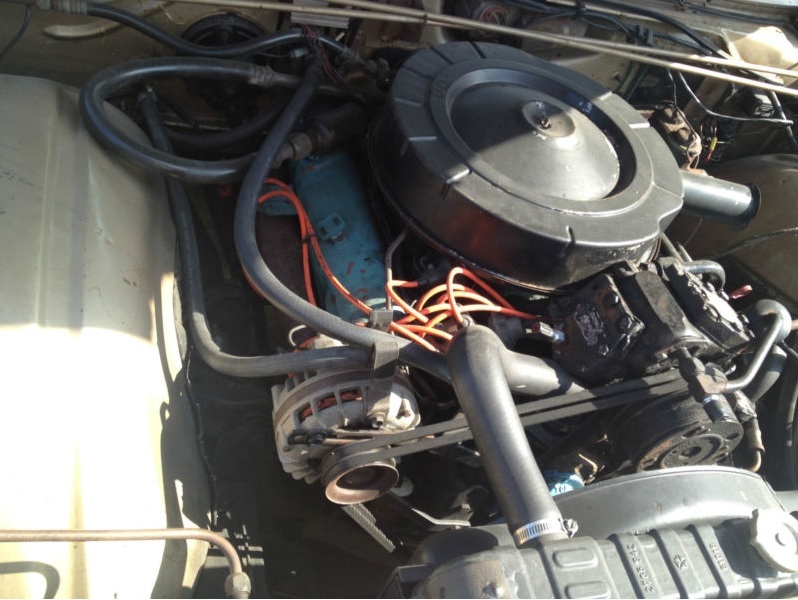 Sure, it was a different class of car, but still… As far as this particular car is concerned, the engine compartment is quite tidy, matching the rest of the car. The tail end and other side of the car look to be in good shape as well. You can definitely see the heaviest oxidation on the roof, but it doesn’t really detract from the overall impression of the car. And hey, matte colors are in right now! 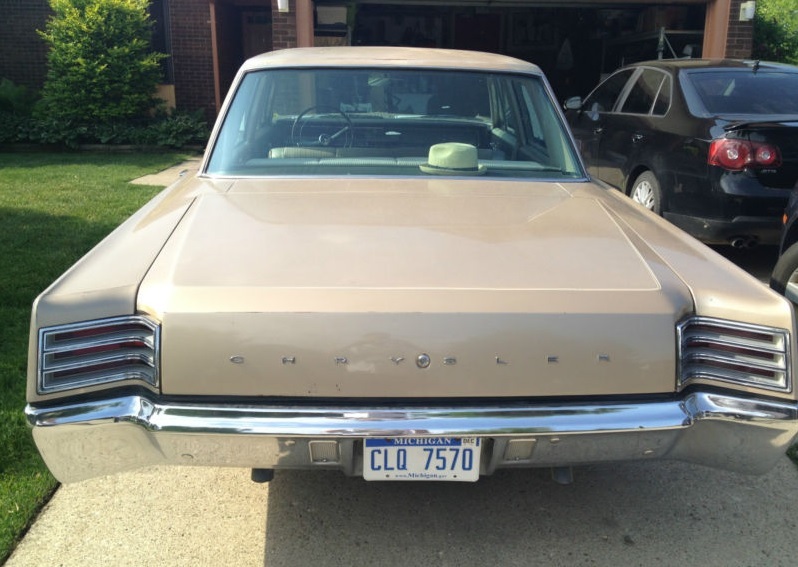 This car benefits from the design trends of the mid-1960s, in particular the 1963 Lincoln Continental. What a tidy interior. There are a few creases and wrinkles, but nothing your Corolla-driving significant other would be afraid to sit on. 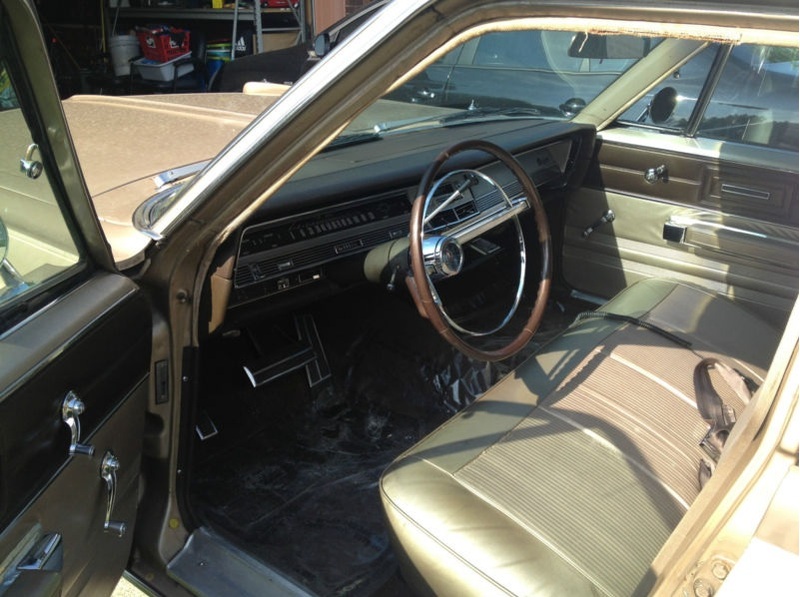 Amazingly, the dash is crack-free, suggesting this car has either had an interior restoration or spent part of its life carefully stored in a garage. There’s no real reason to include this picture, other than it’s a great detail of the dash. And imagine doing a buck-twenty in this thing! Nowadays, the RustyButTrusty parts chaser and baby hauler, a 2010 Jetta TDI wagon, will easily go that fast and probably still get 32 mpg. That said, it doesn’t have the style of this thing, and it’s not selling for 98 cents a pound! This entry was posted on September 14, 2013 at 5:00 am and is filed under Feature. You can follow any responses to this entry through the RSS 2.0 feed. You can leave a response, or trackback from your own site. Nice looking car. 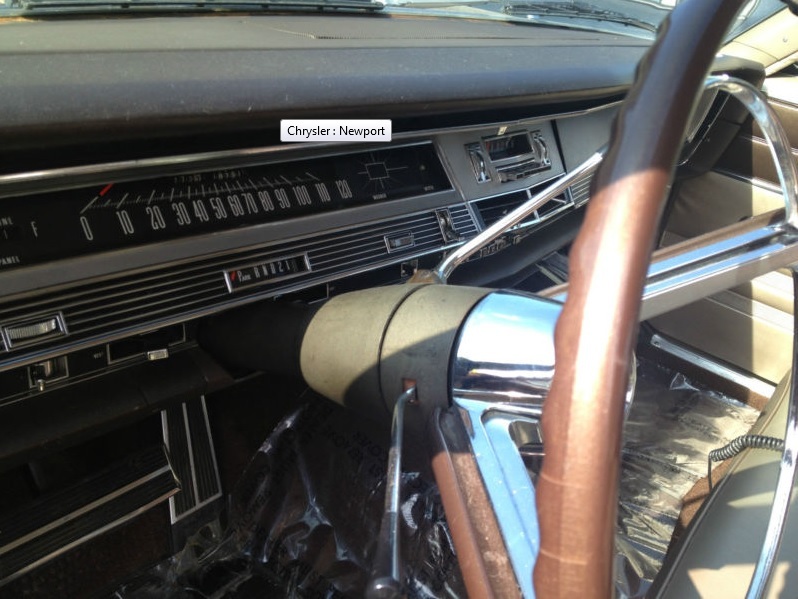 What I’ve always liked are cars that are original, well-maintained, and unrestored. There may be some rust spots here and there, but as long as it doesn’t compromise the body of the car, then it’s still in good shape.